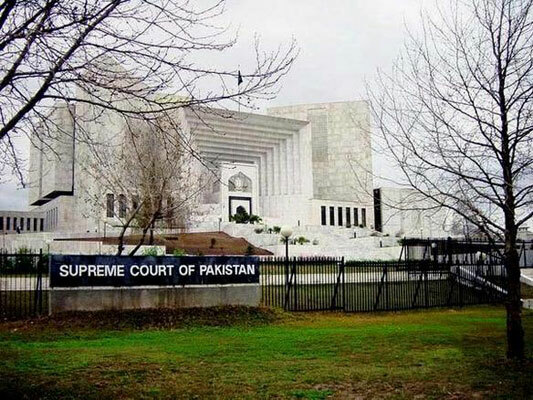 ISLAMABAD: The Supreme Court (SC) on Tuesday hinted that it might decide the issue relating to suo motu jurisdiction of Federal Ombudsperson for Protection against Harassment of Women at the Workplaces on March 11 after hearing arguments of federal and provincial governments. The indication came from a bench of Justice Azmat Saeed Sheikh, Justice Mushir Alam and Justice Sajjad Ali Shah, hearing the plea of Kashmala Tariq, Federal Ombudsperson for Protection against Harassment of Women at the Workplaces seeking the determination of jurisdiction of her office in adjudications. Talking to Law Today, senior members of legal fraternity expressed that judging a complaint of harassment of women at the workplace is a very sensitive matter which required profound legal insight and unbiased approach while deciding such matters. Human Rights advocate Sharafat Ali Chaudhry was of the view that the law should be balanced to protect the dignity of all genders at workplace including women, men and even transgender. Appearing before the bench, Kashmala Tariq urged for a verdict over the issue before March 8 saying, “It is my humble request to the court to issue a verdict in the matter which is at length since a year”. All the provincial chief law officers and a deputy Attorney General Sajid Ilyas Bhatti also submitted reports before the bench in pursuance of the court’s earlier order in the matter. During last hearing of the matter, Kashmala Tariq had informed the bench that some proposals were sent to the federal government for amendments to the Protection against Harassment of Women at the Workplaces Act 2010, however, she submitted that no response has been received yet, adding interpretation of the law by the Supreme Court will be very helpful to proceed against delinquent of harassment. On Tuesday, responding to Kashmala Tariq’s request for verdict pronouncement before March 8 in the matter, head of the bench Justice Azmat Saeed Sheikh categorically said, “ We have to bifurcate over lasting law issue”. Justice Sheikh also said while addressing all the provincial law officers and Kashmala Tariq, “ Be courageous and deliver arguments in the matter then I guarantee you that issue would be resolved”. During the course of proceeding, a member of the bench Justice Mushir Alam observed while addressing Kashmala Tariq that who incorporated Article 10-A in the Constitution of Pakistan to which Ms.Tariq responded promptly that she didn’t vote for the amendment. To which Justice Mushir Alam observed, “If you come within compulsion of the law you have to wait”. After a brief hearing of the matter, Justice Azmat Saeed Sheikh said that everyone should have a clear understanding that issue of jurisdiction in the current matter would be settled on March 11 and no application of adjournment would be entertained. Later hearing of the case was adjourned till March 11.